The feast of the Protection of the Mother of God is one of the most favorite yet paradoxical feasts for Russians. It is a paradox because, according to one version of history, on this day more than 1000 years ago the ancestors of today’s Russians attacked Constantinople and would have taken it, had not the Mother of God intervened.Priests Artemy Vladimirov and Dimitry Shishkin contemplate this “celebration of defeat”. Priest Dimitry Shishkin, rector of the Church of the Protection of the Most Pure Theotokos in Pochtoviy village, Simferopol and Crimea diocese. —In the life of the Church there is much that is visible, yet mysterious, and completely inexplicable, because the ways of the Lord are unsearchable (cf. Rom. 11:33). So has the feast of the Protection of the Mother of God become a mainly Russian holy day, although the event it commemorates happened in the distant tenth century, in blessed Byzantium. Then, the fool-for-Christ Andrew and his disciple Epiphany saw in the Blachernae Church the Mother of God, stretching Her protecting veil over the worshippers. According to certain testimony, this event was connected to the attack on Constantinople by our Slavic ancestors (still pagans). It is an interesting fact that blessed Andrew himself was a Slav, but a “new man”—a Christian—and was as if symbolizing in his person the change in the Russian people that was soon to take place through the Sacrament of Holy Baptism. Other details are similarly symbolic. Standing in prayer before the Most Holy Lady were St. John the Baptist and the Apostle St. John the Theologian; and we know that the name John is probably the most Russian name there is. Why did it happen this way? We don’t think about this, we just take it as a given, but the mystery of God’s Providence can be seen in this. It is also notable that the Mother of God spread her protecting veil over people who were in great danger, anxiety and sorrow, and the prayers of these people, most likely, were filled with strong feelings of repentance and compunction, were especially fervent and sincere, as they often are in moments of danger. And if we look at the entire history of Rus’, we can see how many sorrows, catastrophes, and adversities the Russian people have had to endure throughout, and still does. But here we have to remember that God punishes the one He loves (cf. Eph. 12:6), as his beloved son, whom he trusts and therefore watches after his upbringing with particular severity and zeal. And the Protection of the Mother of God is just that testimony that all our calamities, even when they are brought on by our own stubbornness and tumultuousness, is a sign that God has not abandoned us, that He is calling us to repentance, and directing us upon the path of righteousness. And the Mother of God in interceding for us, in spreading over us the Protection of her goodness, is a sure and good sign that God’s wrath is quick to turn to mercy in case of our sincere and active repentance. 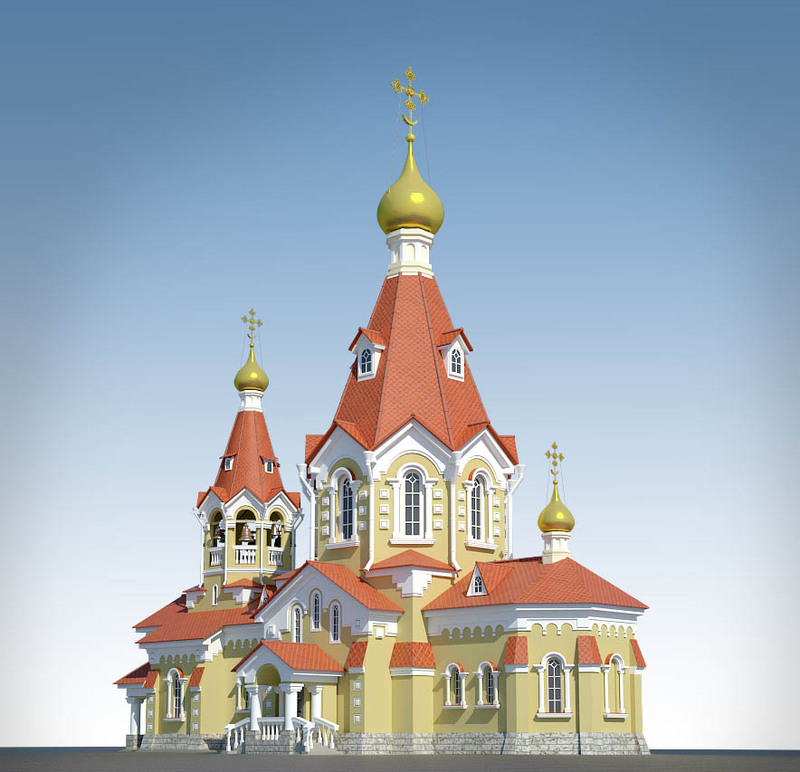 Two and a half centuries after the appearance of the Mother of God in the Blachernae Church, the Russian Prince Andrei Bogolubsky was surprised that this remarkable event was not reflected in the Russian Church service tradition. Thanks mostly to his efforts and intercession the feast of the Protection of the Mother of God was established in Rus’, quickly spread in use, and is still one of the Russians’ favorite feasts. —Tradition tells us that the historical basis for the Russian celebration of the Protection of the Mother God was the demise of Slavic ships in the waters of the Bosphora—an entire flotilla that had surrounded Constantinople with aggressive intent. The New Rome saw in the sudden storm the intercession of the Heavenly Queen in answer to their prayers for salvation from the terrible, impending scourge. Why is this event, which led to the baptism of these pagan princes, still remembered only by the Russian people? After all, our ancestors faced a crushing defeat! It is very hard for the modern city dweller to understand the concept of saving humility, which is nothing other than the recognition of our total weakness before God, united with prayer for mercy. 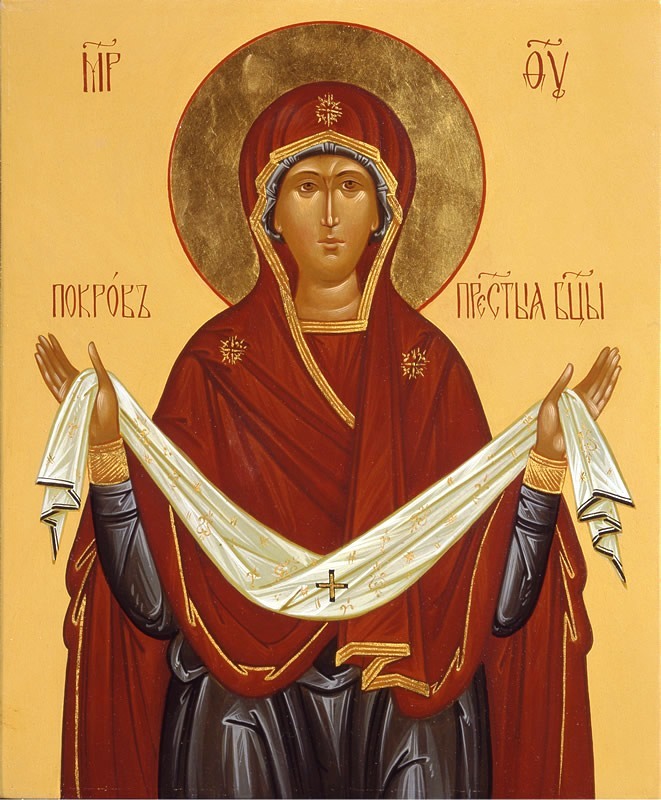 It is remarkable that not did only the Greeks, who were enlightened by the true faith, but also our Russian ancestors “abiding in darkness and the shadow of death” come to recognize in this event the direct intercession of the Mother of God, which is irrefutable testimony to their mystical intuition and augury of becoming chosen by God’s Providence for a particular historic mission. Such was the Jewish Saul, who became a great apostle to the pagans after receiving a revelation from on high.